Sign up with Nik Snacks email newsletter and receive each post as soon as it's published. Get the inside scoop and fun information before anyone else on the 'net! Don't forget to follow Fire in the Triad nightly on Facebook and Twitter. 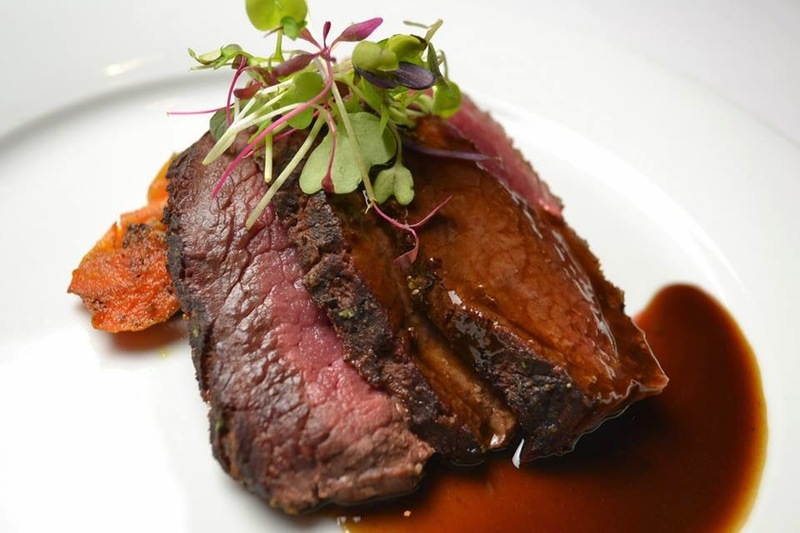 Use #CompDiningNC to get in on all of the fun! 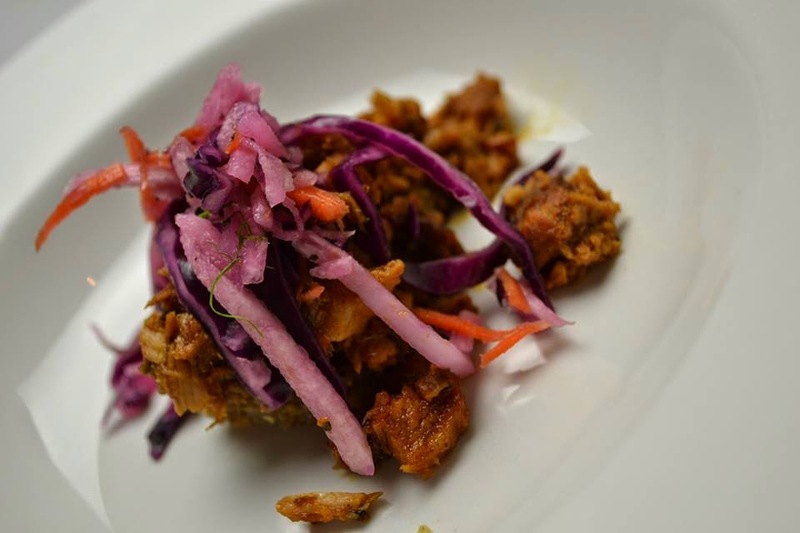 Salutations again, from Amanda - blogger at Cuisine and Screen! 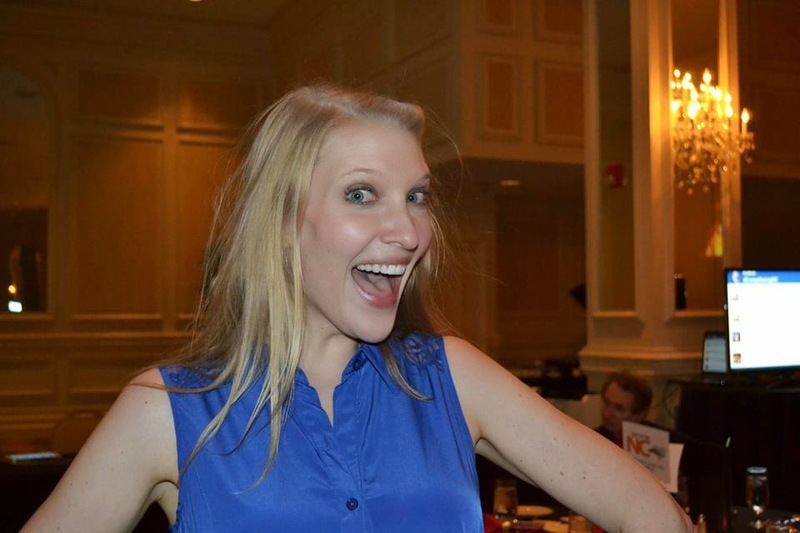 Being no stranger to Fire in the Triad, I'm honored to be guest blogging once again for Nikki! Attending these battles are one of my favorite ways to spend my evenings - supporting NC ingredients and chefs, meeting fellow foodies in the community, and playing "Iron Chef"! SO excited to be back again tonight - can you tell? At this battle, I had the fortune of going BEHIND the scenes, or as I call it in my day job, "backstage." 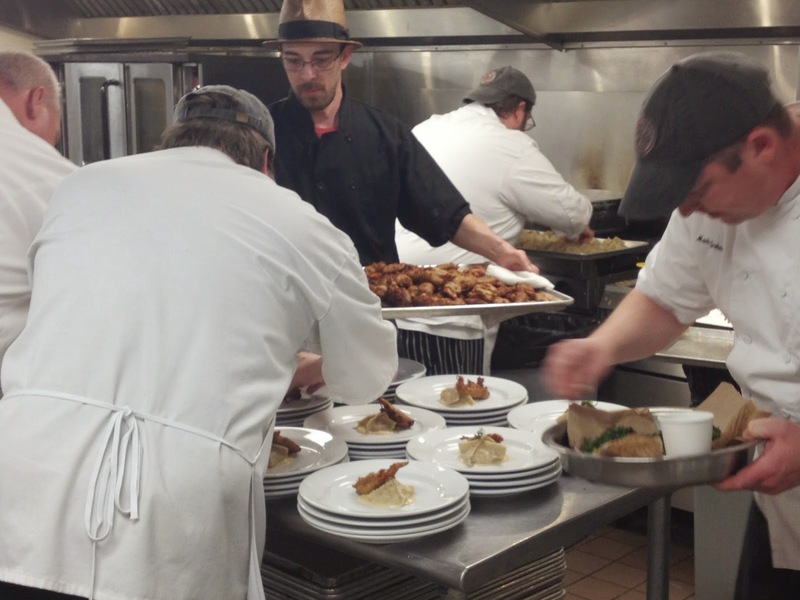 It was eerily calm - the chefs were focused, working with precision, and thankfully for them, the AC was cranked up! Since I got to peek, I didn't get to vote, but it was really neat to have the opportunity to have an insider's perspective and meet some of these awesome guys! Meridian in Winston-Salem is a personal favorite. It was actually my very first blog post! It's the first place I've ever seen Antelope offered on a menu (heads up - it's delicious, and much like a steak.) 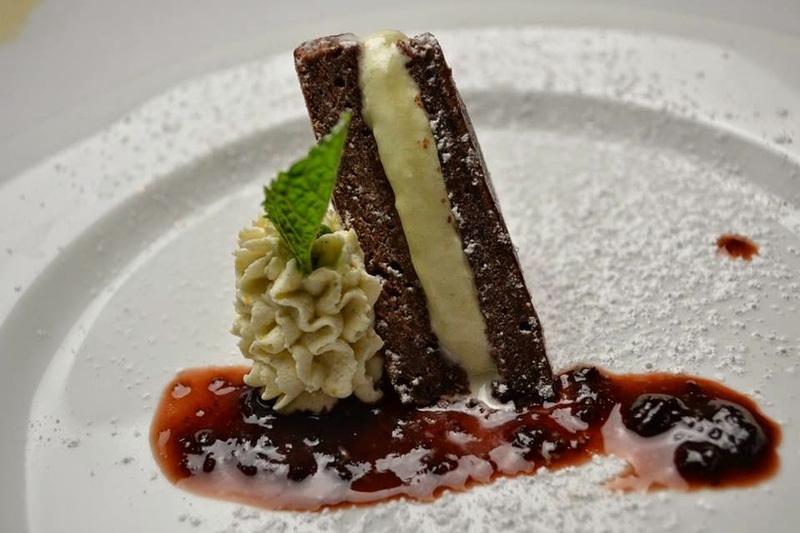 To get familiar with Chef Mark Grohman and see what he and his team accomplished in the preliminary round, click here. B. Christophers recently relocated to downtown Greensboro, and I'm very eager to try it. Reading John Batchelor's review of it last year made me salivate to no end, so I can't wait to go ASAP. 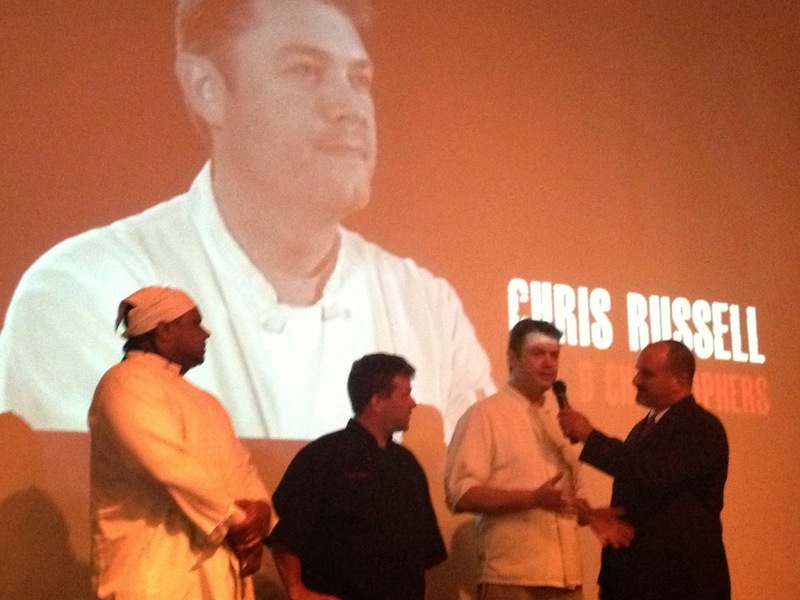 To get familiar with Chef Chris Russell and see what he and his team accomplished in the preliminary round, click here. **And you should know, he's my new "celebrity" chef crush. 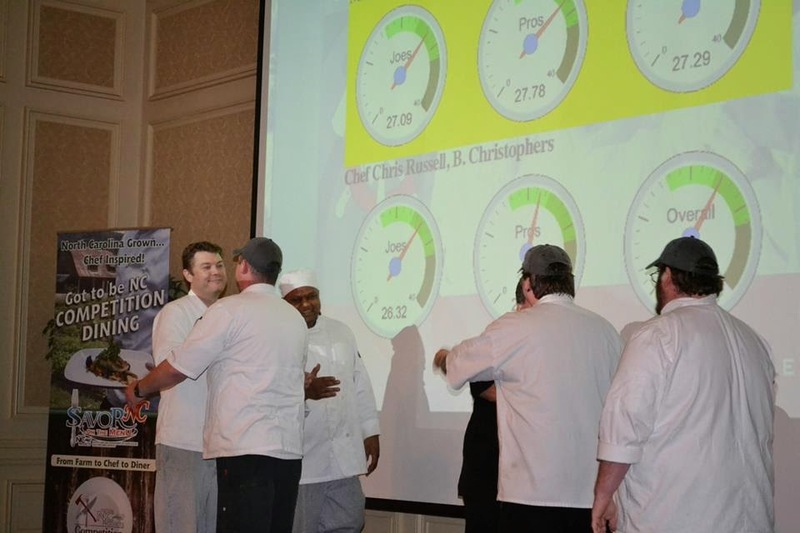 Pro Judges included Chef Chris Blackburn (Josephine's Bistro AND Former Fire in the Triad competitor), Chef Jonathan Wheeler (Jake's Pub and Billiards AND Former Fire in the Triad competitor) and Quaintance-Weaver Pastry Chef Laura Dominguez! Southern As Biscuits blogger Kristi Johnson Marion was in the crowd, and my table mate was Diana Jones from Jones vonDrehle Vineyards. Several people throughout the evening complimented her on the wine, while others enjoyed Red Oak's delicious offerings! We were all itching to see what tonight's secret ingredient would be. I had my guesses, namely, a protein, since last night was High Rock Farm Chestnut Flour. When suddenly, I heard someone singing a familiar tune..."chestnuts roasting on an open fire..."
My first thought: have I been punked? But I was totally cool with it. Bring it on! This time, we actually got to TASTE some of the raw flour prior to service. It's more woody and bitter than it is nutty - it's like if Guinness were a flour, it would be Chestnut Flour. High Rock Farm in Gibsonville once again kindly provided us with the secret ingredient! What a yummy, Southern dish! 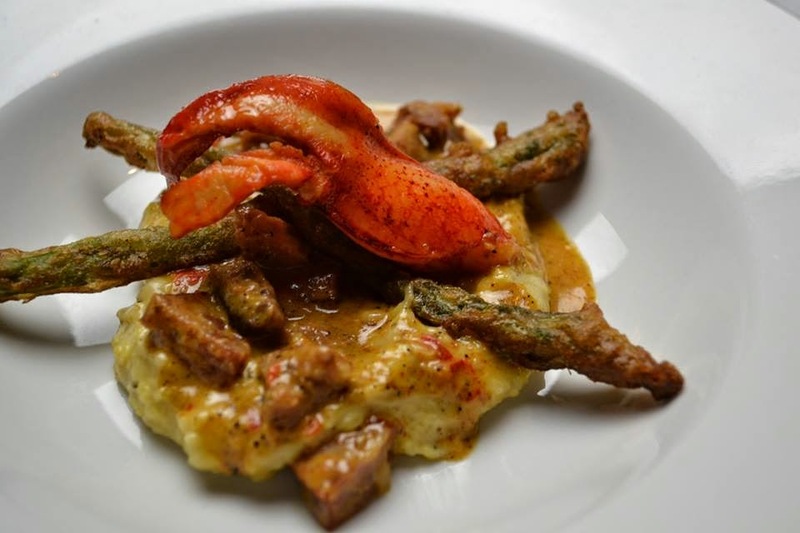 The Tempura Asparagus was loaded with the flavor of Chestnut Flour. The batter was just saturated with it! The Grits were thick and cheesy, and the Andouille Sausage gave off tremendous heat. The more heat, the better for me, so I didn't hold back, but this dish was not for the sensitive palate! The Lobster seemed kind of out of place, but who's gonna complain about an extra bite or two of the delicacy? The creamy gravy reminded me of Shrimp and Grits. Definitely a crowd-pleaser. Tonight was off to a fantastic start. This was my favorite dish of the night. The flavor, presentation, use of the secret ingredient - it all was exceptional. The Crab and Mascarpone Pyramid - how whimsical! - was like a stuffed Wonton or Dumpling, and sang of the Chestnut Flour! 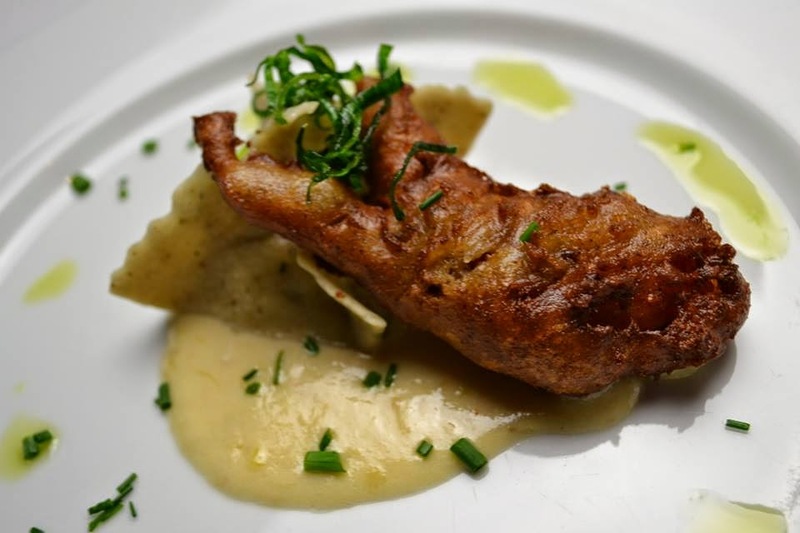 The Red Oak/Chestnut Flour-battered Lobster Claw...holy cow. The sweetness was a perfect balance. I could have eaten 15 of them. They're like Wings for the Champagne and Caviar crowd. Dipping these bites in the creamy Leek Sauce and bright Chive Oil was better than any condiment I could have imagined. CHEERS. I didn't expect to enjoy this dish as much as I did. Everything about it said "Amanda - this will not be your fave of the night." I'm not a huge Jerk or Fennel fan, and the presentation looked a bit like food that we feed our furry friends (sorry! ), but my opinion TOTALLY changed when I took one bite. The slight sweetness of the Fritter with the caramelized Pork was such a harmonious flavor combo. It was a bit hard to distinguish between bites of the Fritter and the Pork, but I'll blame the lighting, and it didn't matter because I wanted more of both! The Slaw brought some zing to the plate, and cooled down the heat that warmed the back of your throat from the Jerk and Jalapeño. Unfortunately, this was the lowest scoring dish of the night. I can't help but think it's because of the presentation. Several people at my table had never tried Venison, and now they're converts. This preparation was cooked to Medium Rare perfection, and you would have SWORN it was a Filet Mignon had you not known. The meat was lean, and what an ample serving! This is what I think a man would want as his last meal - hearty, warm, substantial - what you'd eat during a winter getaway in a mountain cabin. I ADORE Spaetzle, so this version had a lot to live up to. I stand by my opinion that the Germans are the only ones who can make a truly exceptional Spaetzle (read my post about my trip to Heidelberg, Germany here!) This preparation was a bit lackluster and chewy. I hate that my table mates didn't enjoy this variety, because now they'll never know how good Spaetzle can really be! The Red Wine Coriander Reduction could have been reduced a tad bit more - the notes of alcohol hadn't been fully cooked out yet, which was a surprise but not necessarily a complaint. The Chestnut Flour didn't really shine in this dish, but it was popular among diners. 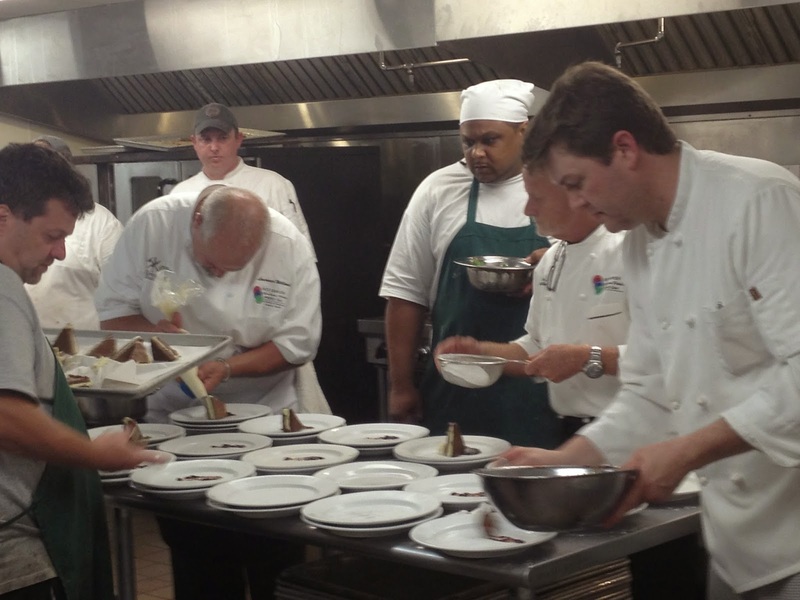 Plating B. Christophers' dessert! Give me whatever's in that piping bag, Laurence! The clear dessert winner and the highest scoring dish of the night. The Chocolate Cake was dense, like a fudgy brownie, and the Fresh Mint Ice Cream was REALLY friggin' fresh! It's not the Mint Extract flavor you're familiar with from grocery store ice cream, this was the "where's my mojito?" mint! What a fabulous palate cleanser! The Bing Cherry Sauce? A totally necessary and appreciated brightness. A forkful of all elements of this dish was lovely. I should have stopped here. This dish was pretty. And pretty disappointing. 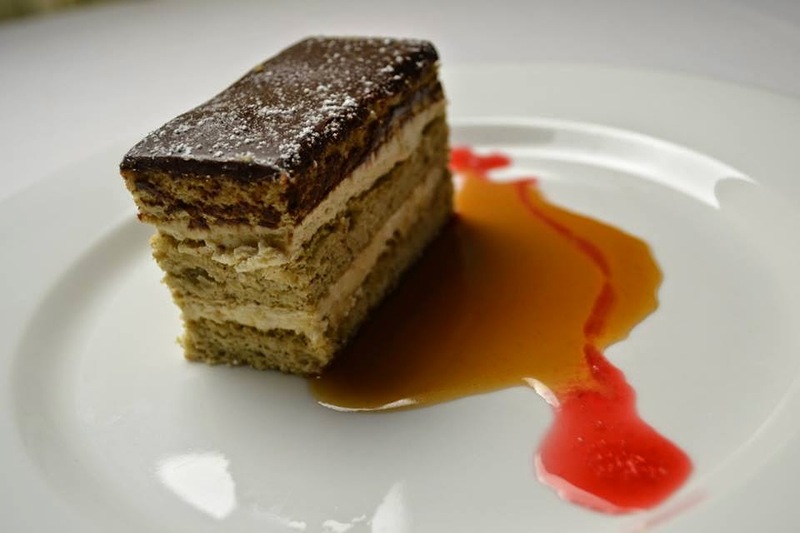 The technical elements to this dish may deserve praise, but the Chestnut Flour gave this "cake" a sponge-like texture, and the Bourbon Caramel was entirely too bitter to be a complement. The Coffee Buttercream was like Coffee Butter...I was missing the frosting-like consistency. I'm a Cheerwine fan, so I jumped out of my chair when I saw the word, but unfortunately, this dish was beyond saving. Everyone at my table agreed. I'm sad the last flavor in my mouth wasn't that terrific Fresh Mint Ice Cream. This was one of the fastest battles I had ever been to! Mad props to the chefs for staying so consistent with timing! Thanks again to the blog queen Nikki, for letting me fill in for her these past two battles - they have been SUCH a party and I had a blast! Come follow me on Cuisine and Screen and tweet me @apclark! Ciao y'all! We're more than halfway through the 2014 Fire in the Triad series. Don't miss a crumb of nightly recaps! Don't miss out on the most fun you'll have on a Tuesday night!